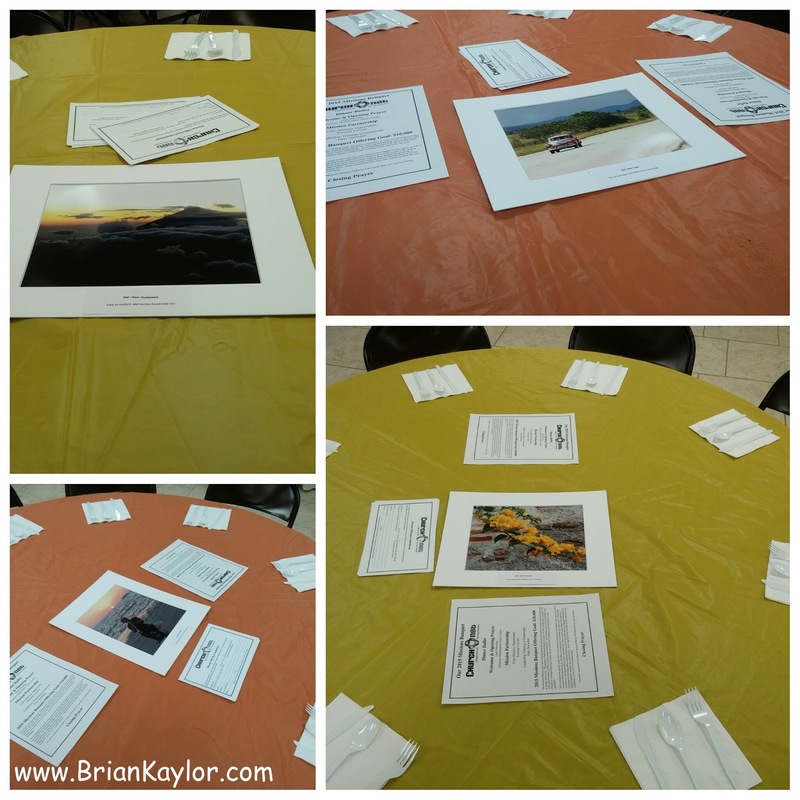 At last weekend's Churchnet Annual Gathering, I set up a photo exhibit as part of the missions banquet. The 20-photo exhibit was called "Old - New: Turkey, Cuba, & Guatemala." 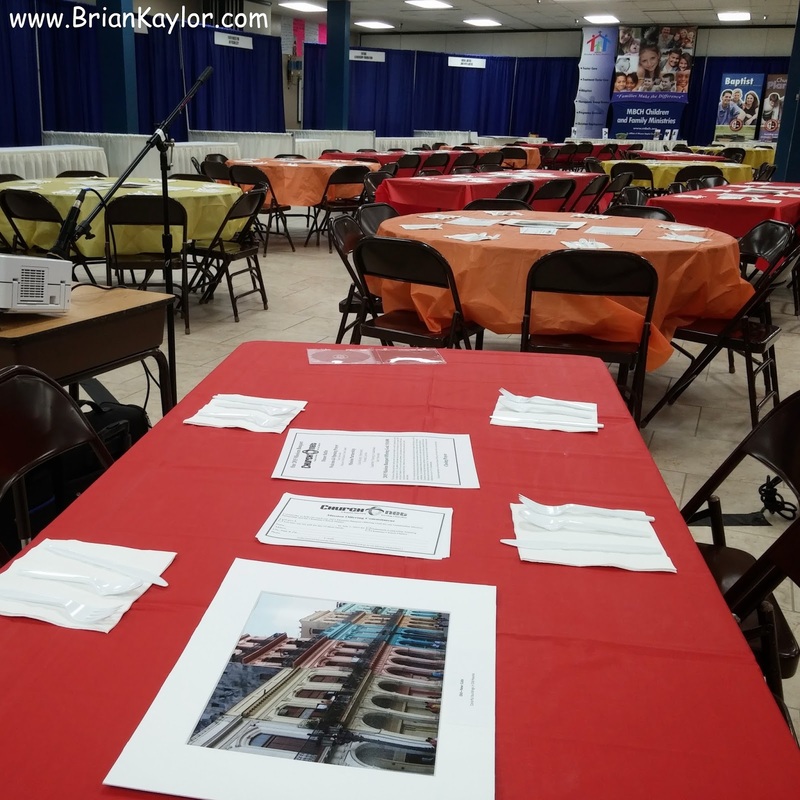 It included shots I took for the Baptist World Alliance Annual Gathering in Turkey (July 2014), the Churchnet delegation to Cuba (October 2014), and a Churchnet training conference in Guatemala (January 2015). The old-new theme tied the photos together and with the weekend's guiding scripture in 1 John 2:7-10. I matted the photos and added captions. We then made them the centerpieces for the missions banquet tables, which perfectly matched with one per table. 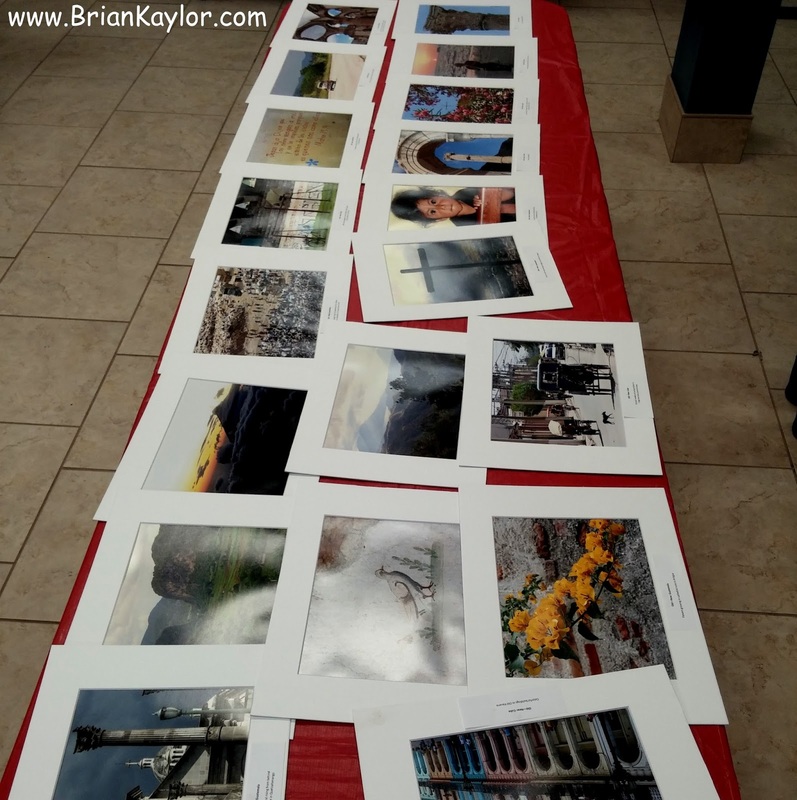 I initially planned to hang them around the room so I included a photo of people working in the city dump in Guatemala City. That didn't seem that appetizing for a table centerpiece, so I put it on the back table to encourage people to sit closer! The photos added to the conversations around the tables as people enjoyed Bandana's Bar-B-Q. During the missions banquet, Churchnet Missions Mobilization Team Leader Gary Snowden and Churchnet Vice President Forestal Lawton spoke about the Churchnet delegation to Cuba. Snowden also talked about Churchnet's partnership with Guatemalan Baptists, highlighting January's leadership training conference and the work of the Tabitha Ministry near the city dump. Lots of photos on the big screen accompanied the presentations. Both did an excellent job talking about the missions efforts of the past year, and the projected photos added to the stories. As I noted during my sermon at the Annual Gathering, Old Testament scholar Walter Brueggemann argues that we need more "prophetic imagination" in churches today. He calls the prophets poets and artists trying to shake up the people by saying the unsayable, thinking the unthinkable, imagining the unimaginable. I hope my effort to bring a bit of art to the consideration of missions partnerships helped spark some new imaginations and dreams. Hopefully it also helped raise a bit more money for missions. We told those present that the top donors would get one of the photos. We lined them all up briefly on one table before donors started picking theirs out. A couple of people even asked me to sign theirs. The missions banquet offering nearly reached our goal, which is a good response since money always comes in afterward as well. One hundred percent of the offering will support two mission efforts: our partnership with Guatemalan Baptists and a church planter in Ukraine. Anyone can give to the offering here (pick "Mission Banquet Offering").